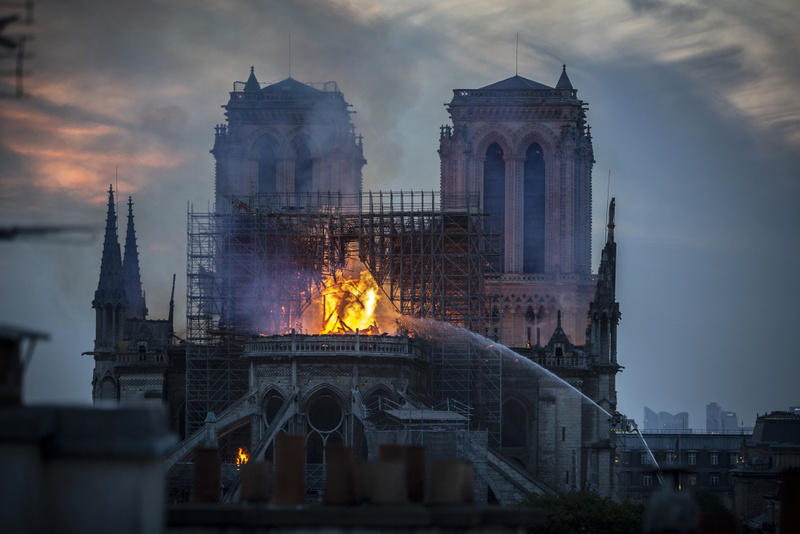 Smoke and flames rise from Notre-Dame Cathedral on April 15, 2019 in Paris, France. It took more than 12 hours, and firefighters in Paris were finally able to extinguish an inferno engulfing Paris' iconic Notre Dame cathedral. The fire claimed the iconic building’s spire and roof, but spared its bell towers and the purported Crown of Christ. AirTalk asks: What are your most memorable, mesmerizing houses of worship?